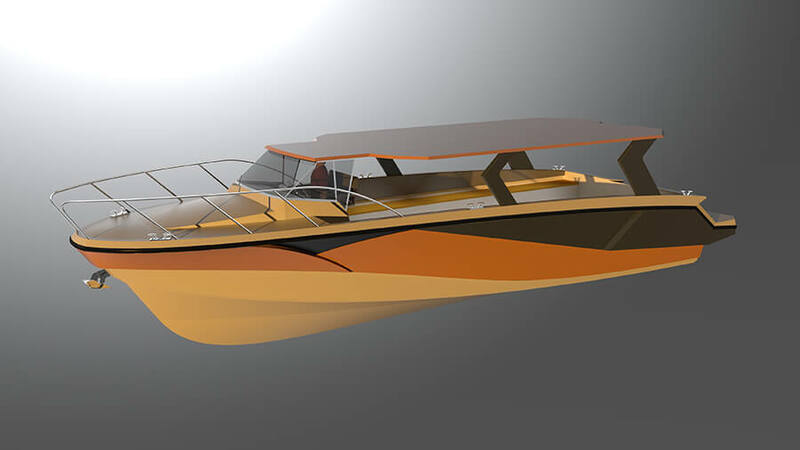 Stark 45C is a commercial boat design. 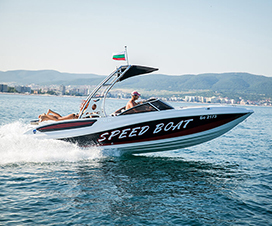 You can use this boat for diving, transportation, party, and fishing. Stark 45C designed from a version of Stark 45. 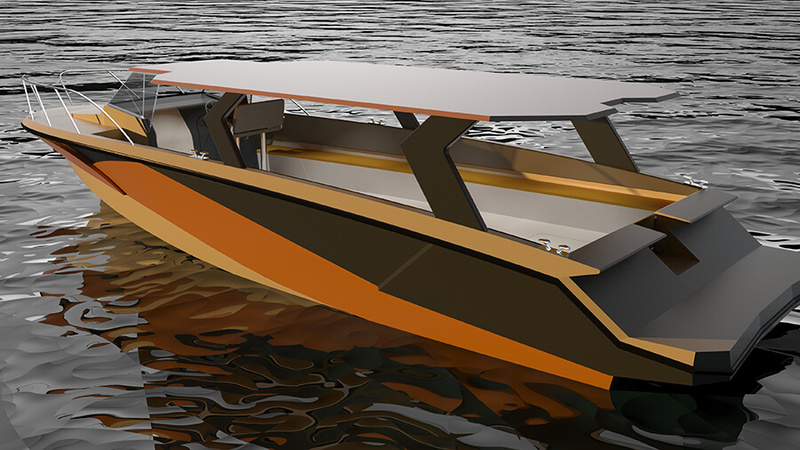 Boat design has a good stability, sea keeping, and performance. 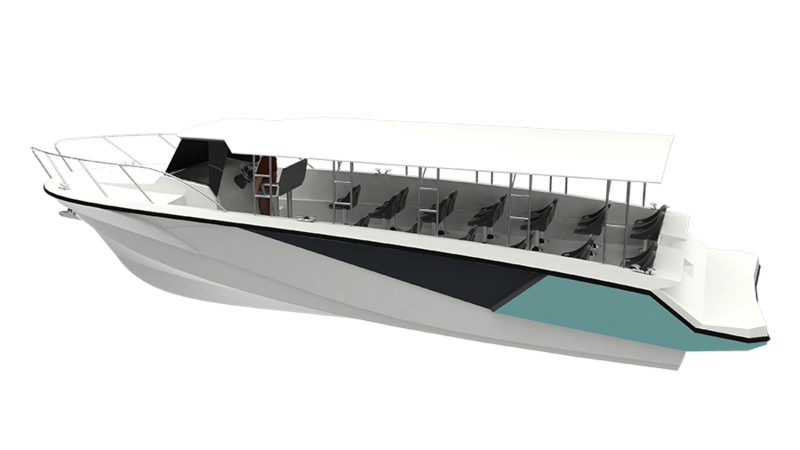 Maximum capacity 26 passengers + 2 crew. 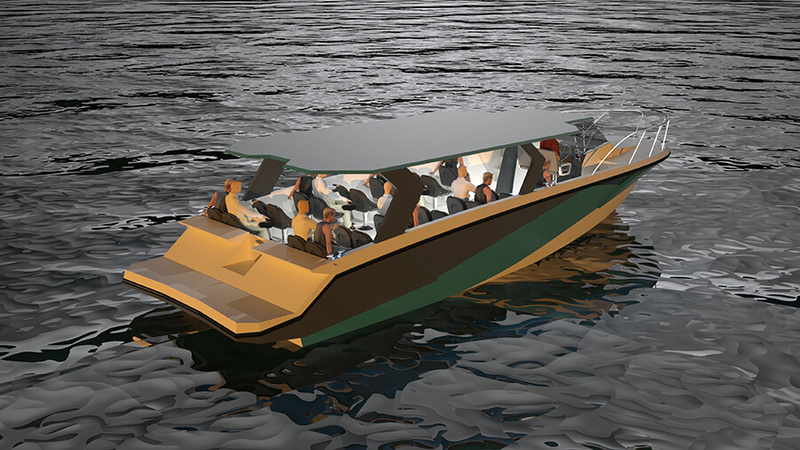 A scuba diving purpose-built boat with 40 tanks compartments and a diving door and ladder. 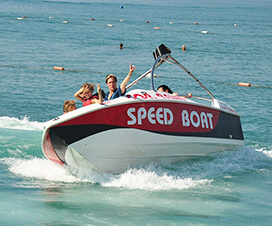 The perfect dive boat for beach resorts and diving centers. 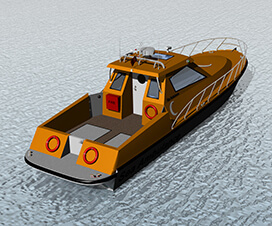 The side and stern parts of the craft can be closed. You can use comfortably with air condition. Stark 45C very useful especially for inter-island trips. You can use with VIP lounge area by request. 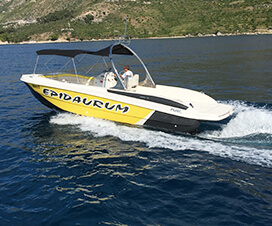 This is a multi-functional workhorse used for touring, exploring, diving, ferrying people. The boat has one cabin with toilet, bed and storage area.